When Did Traffic School School Get So Easy? Beat the ticket! Find out how to beat a speeding ticket without ever leaving your home. Have you gotten a ticket for a speeding violation? Is the feeling of being frustrated, angry or even embarrassed still fresh in your mind? Good, you can use such feelings to your advantage: think about your actions and then change them so you won't face such an incident again. You are probably saying to yourself, “But I already got the speeding ticket, there isn't much I can really do now.” Although it is true that you will have to pay for your actions this go round, you are actually in a position to do a little damage control: it's time for traffic school. Going to traffic school may not get you out of the difficulties you now face, but it can help you minimize the fine you may receive and it can even help you protect your driving record by reducing or even eliminating the points you receive. As a final point, many people choose to take traffic school courses to reduce their insurance premiums. Traffic school; with work, family obligations and other responsibilities, how does one find time to fit traffic school into a busy schedule? The truth is, the time invested in traffic school is minimal compared to the future time lost while getting a ticket, paying fines, or going to traffic court. Now you have options for fitting traffic school into your schedule. You can attend a classroom course and get it all out of the way at once in just four short hours or you can take the course online allowing you to choose when and where you will take the course according to your schedule. By taking the course online, you can log in as many times as you like and complete the course when you have the time. The education you receive can save you a lot of heartache and frustration later on. Traffic school students often find that the benefits of attendance far outweigh the disadvantages of not attending traffic school. Everyone has a particular learning style and preferences when it comes to taking a course and now you have options when attending traffic school that best suit your needs and schedule. The classroom course offers presentations by traffic safety experts along with class activities and discussions. The online course offers interactive web applications that include graphics and animations. The DVD course offers video examples of various traffic situations along with discussions on how to safely handle those situations. With the classroom course, you can participate in lively discussions and get the course out of the way in four short hours. With the online and video courses, you can start the course on your schedule and log in and out as many times as you wish to complete the course when you want to in the comfort of your own home or office. The curriculum of an online traffic school permits the web user to study all classes online. The lessons are laid out with vivid images, illustrations and factoids. After reading the last chapter of the course the web user is then required to complete a final examination via web access. Finally, the student receives a certificate of completion, once the course work has been successfully completed. 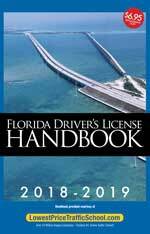 Florida allows the use of video/DVD courses for completion of traffic school. Once you have registered and paid for the course, the video or DVD will be mailed to your home along with all of the coursework. Once you have viewed the video and successfully answered the test questions, you simply use the provided mailer to send the package back to the school. Once the school has received the returned video and confirmed successful completion of the exams, you will receive your completion certificate by mail. 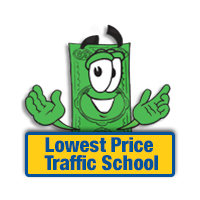 Classroom courses are what one typically thinks about when it comes to traffic school. For those who prefer to learn in a classroom environment, the classes are normally scheduled during the evening or on weekends. Classes are generally taught by a traffic safety expert and include class discussions among the students. Depending on the course, the class is generally completed in one sitting. Going to traffic school may not sound like a way that one will want to spend their free time, but the benefits derived from going to traffic school make the classes more than worth it. Whether you entered into traffic school because of a traffic violation, speeding ticket, or to simply reduce your insurance premiums, you will find that you are glad that you decided to attend traffic school.